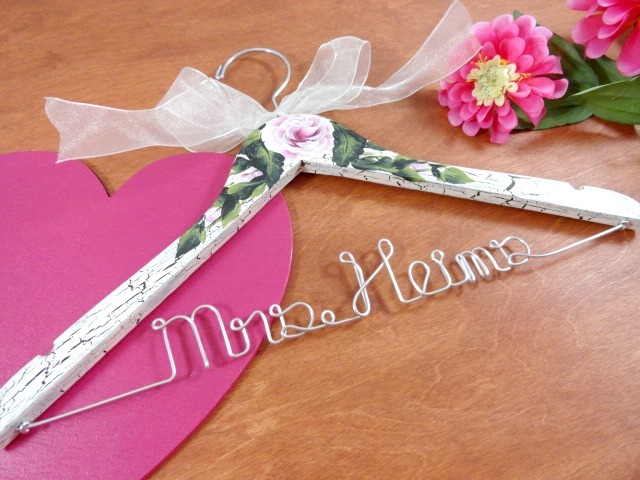 AMY'S ORIGINAL BRIDAL HANGERS: Giveway for the Week of October 10th! Giveway for the Week of October 10th! I have decided to run shorter giveaway times. This giveaway will run from Sunday October 10th, 2010 through Sunday October 17th, ending at 12:00 midnight. The winner will be announced on 10/18! 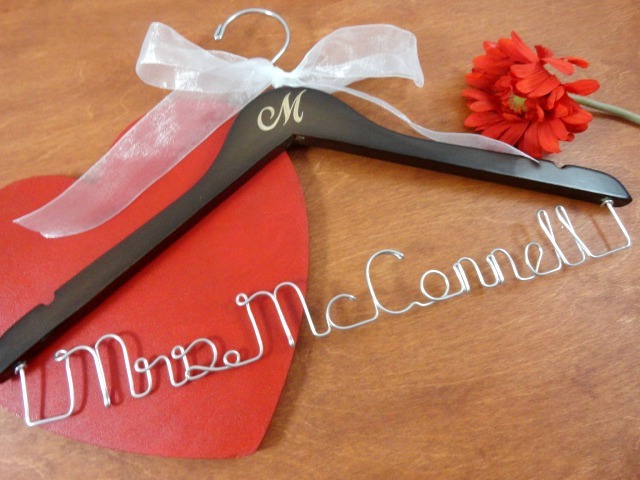 I will be giving away two hangers this time, one for the "Bride" and the other for the "Groom". They will be on natural colored wood hangers, with a white ribbon for the bride and a black ribbon for the groom. No custom orders will be allowed this time. This contest is only valid for delivery within the Continental United States. In order to be entered in to the contest, you have to sign up to follow my blog, follow me on Twitter, and leave a comment on this post! It's pretty easy to be entered for a chance to win. I follow your blog, twitter (@swnurse2010), and I would LOVE to win these! We're getting married 5-7-11. Oh, I love these. I follow the blog and on twitter-shootingstarmag. 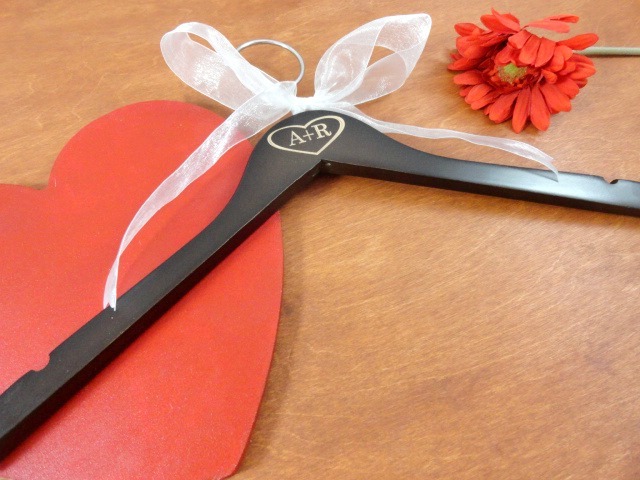 We would love these hangers for our May 21, 2011 wedding...it would match the toasting glasses we want to get for the bride and groom on here! I also follow your blog and on twitter! Thank you so much! God bless! These would be so cute for our wedding on April 23rd! I also follow your blog(@pennywisebride) and follow you on twitter (@pennywisebride)! These hangers would be perfect for our May 21, 2011 wedding! Following your blog and twitter (@mgildow). I love these hangers :) So cute and creative! Your hangers are adorable. I would love to win them for my nephew and his lovely fiance! These hangers are so cute! They would be perfect for our summer wedding (07/23/2011)! I'm a GFC follower and a follower on Twitter (@sharonmyep) :) These would be great for our June 4 wedding and to pass down in our family as heirlooms! LOVE the hangers! Following on twitter! I've been eyeing these for a while on wedding blogs. So glad I found someone selling them! They would be perfect for our wedding on 4/23/11. Those hangers are perfect...too bad I am not from the continental US! Whoever wins those hangers, Congratulations!